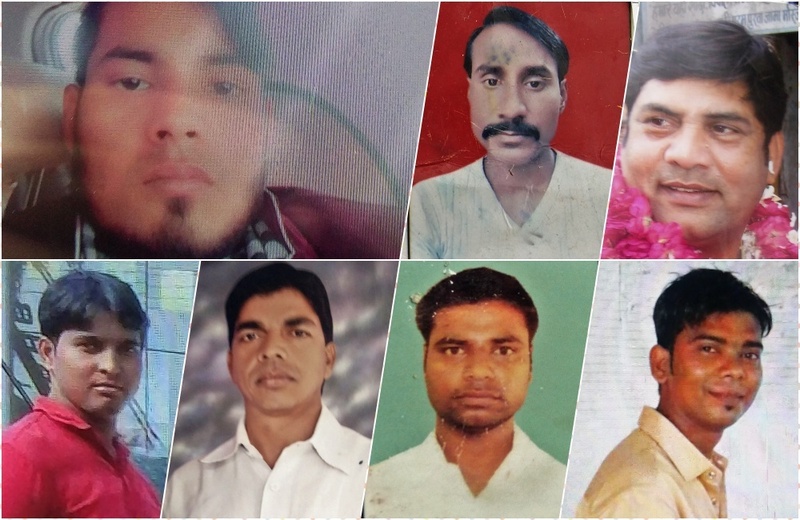 After attempts to instigate communal clashes all over eastern Uttar Pradesh, the Adityanath government is using the draconian law to target Muslims, even as Hindutva activists involved in the violence get off lightly. Lucknow: On March 4, 2018, a year after the Bharatiya Janata Party came to power on the plank of improving law and order in Uttar Pradesh, chief minister Adityanath claimed that not a single incident of communal violence had taken place in the state since he took over. Ten days later, the Union home ministry tabled statistics in parliament which showed that Uttar Pradesh continues to top the list of states in terms of the number of incidents of communal violence and related deaths – 44 people were killed and 540 injured in UP in 2017. This compares poorly with 29 deaths and injuries to 490 people in 2016, and 22 deaths and 410 injuries the previous year. The incidents of communal violence in places like Bulandshahr and Saharanpur clearly showed the involvement of the Adityanath-led Hindu Yuva Vahini and local BJP activists. Those involved were reprimanded but strict legal action against the culprits did not follow. On January 16, 2018, the Adityanath government issued a press statement in which it said the UP police had invoked the National Security Act (NSA) against 160 people in order to control law and order. This was one of their prized achievements, apart from racking up 1200 police encounters in 10 months. The most prominent of the NSA detentus is of course Bhim Army founder Chandrashekar Azad, who has been lodged in jail since May 2017. In popular parlance, the NSA is known as a law in which there is ‘no vakil, no appeal, no daleel’ (no lawyer, no appeal, no argument).’ The Act, whose stated purpose is “to provide for preventive detention in certain cases and for matters connected therewith,” came into force on September 23, 1980. It empowers the Central and state governments to detain a person to prevent him/her from acting in any manner prejudicial to the security of India, the relations of India with foreign countries, the maintenance of public order, or the maintenance of supplies and services essential to the community. The maximum period of detention is 12 months. The order can also be made by the district magistrate or a commissioner of police under their respective jurisdictions, but the detention must be reported to the state government along with the grounds on which the order has been made. Under the Act, a person can be detained for up to 10 days without being informed about the reasons for the detention. The government is allowed to withhold the information supporting the detention in ‘public interest.’ A detained person is not permitted to question his/her accusers or the evidence in support of their detention. Nor are they allowed a lawyer in this period. A three-person advisory board made up of high court judges or persons qualified to be high court judges determines the legitimacy of any order made for longer than three months. If approved, a person may be held extra-judicially for up to 12 months. Successive governments have made free use of the NSA and at any one time, Uttar Pradesh is usually among the top five states in terms of the numbers arrested under it. 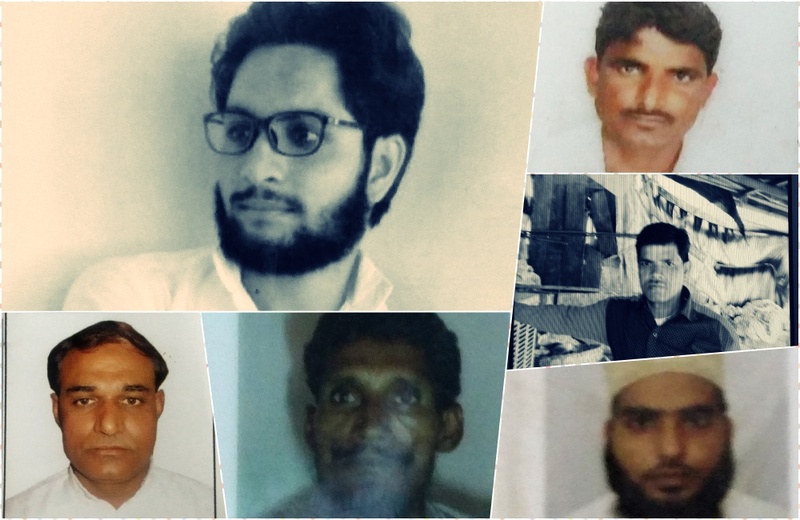 The Wire met the families of 15 people detained under the NSA in the past one year from four districts of eastern Uttar Pradesh known as Poorvanchal; all the arrests were made after incidents of communal clashes. Even when there were allegations of the clear involvement of Hindu chauvinist groups like Hindu Yuva Vahini, Hindu Samaj Party and Akhil Bhartiya Hindu Mahasabha, those put behind bars were invariably Muslim. All the accused were first granted bail by the sessions court and as soon as they got bail, re-arrested by the police under the NSA. Locals believe that just as the 2014 elections were preceded by a large number of minor communal clashes which polarised voters, these clashes and selective detentions under the NSA are part of the Sangh parivar’s preparation for the 2019 general elections. 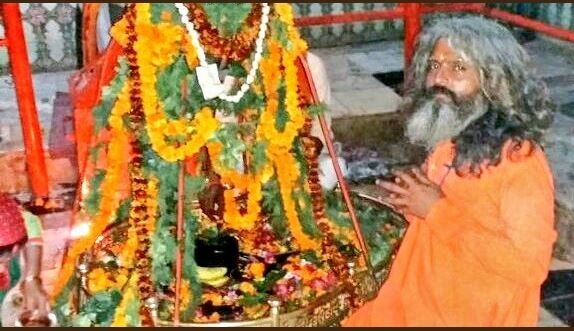 In fact, when reports of hooliganism by kanwariyas through their loudspeakers, DJ and road shows was pointed out, he said, this was a yatra of Shiv devotee and not a “shav yatra” (funeral procession). By introducing religious sentiments in the maintenance of law and order, the chief minister clearly indicated that religious celebrations are above the rulebook. When Muharram last year fell on October 1, bang in the middle of the period for the Hindu ritual of the immersion of Durga idols, intelligence units across the country flagged the possibility of communal tension since both observances involve street processions. West Bengal chief minister Mamta Banerjee prohibited the immersion of Durga idols on October 1 and requested people to do it between October 2 and October 4. The West Bengal government faced heavy criticism from the BJP. However, no incidence of violence happened in the state. In Uttar Pradesh, on the other hand, inspired by the CM’s call for unabashed public displays of religious sentiment on the streets, nine districts – Kanpur, Ballia, Pilibhit, Gonda, Ambedkar Nagar, Sambhal, Allahabad, Kaushambi and Kushinagar – witnessed communal tension and violence on October 1 due to the two religious processions. 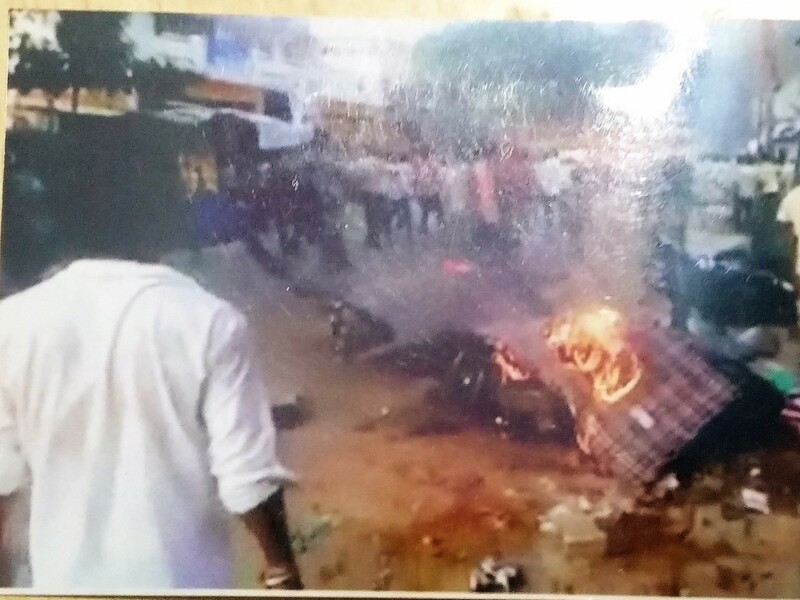 On October 1, Kanpur witnessed two major religious clashes. One was at the Rawatpura, where a Ram Baraat – a wedding procession for Lord Ram – organized by the Ram Lalla committee of the Vishwa Hindu Parishad came in the way of a Tazia procession, a representation of the tombs of Hassan and Hussain. Local Intelligence Units had earlier alerted the administration in Lucknow about the possibility of clashes but no preventive measures were taken. As a result, there was a clash that led to stone pelting, air shots that left several injured including two policemen. Several people from the Ram Lalla committee were detained and later let off. On the same day, a Moharram procession in Juhi Param Purwa, a ghetto, was stopped at the intersection of the locality by Hindu Samaj Party members leading a Durga idol immersion procession. There was firing and stone pelting here too. Juhi Param Purwa is a small locality, primarily dominated by Muslim and Dalits. On one side of the intersection live the Muslims and on the other side live Dalits. In the violence here, a police vehicle, and the only shop and a house owned by a Muslim on the Dalit side was torched. The police arrived on the spot and by that evening 57 people were detained. Most were released, except Hakim Khan, Farkun Siddiqui and Mohammad Salim, who were slapped with the National Security Act one month after their arrest – as soon as they were granted bail by the local court. Hakim Khan, 35, worked with the Sahara group as an insurance agent and has been part of several peace and communal harmony initiatives in the area. On October 1, when the Tazia procession was stopped, he had stepped in to broker peace between the two sides and returned home after the police arrived on the spot. “He would participate in temple festivities, food camps on Tuesdays for Lord Hanuman and even mop the temple stairs,” says Ram Prakash, his neighbour. He was picked up by the police in the early hours of October 2 from his house. “He was thrashed with belts and the police also said to him ‘You say Islam zindabad a lot, isn’t it?’” says Mohammed Kasim, his elder brother. After Farkun Siddiqui’s arrest, his 12-year-old daughter faced jibes at school. Her teacher called her ‘the daughter of a criminal.’ Her classmates would regularly tell her, ‘Muslims are terrorists.’ Fed up of the daily reprimands, she stopped going to school mid-way through the academic year. Last month, she took admission in another school and is repeating her class. “He worked as a contractor for the municipal corporation for years. An income tax payer is suddenly a threat to national security and has been behind bars for 10 months now. Tell me how to interpret it if it’s not religious discrimination?” asks Sophia, Farkun’s wife, who says all their savings will soon be exhausted. Mansoor Tent house was the only shop owned by a Muslim on the Dalit side of the locality. It was owned by Salim, also known as Pappu. His house was adjacent to the shop. “We have lived there for several years and there has never been a threat in the past on the basis of our religion,” says Ruki, his wife. On the day when the violence broke out, first his shop was set on fire and then his house. “There were lots of people in the Durga idol procession that I had never seen before. They were the ones who first started ransacking the shop and then set the shop and the house ablaze,” she says. Her two young children had fainted during this three-hour long ordeal before they were rescued by relatives. Her 12-year old son, Babbu, says, “There were two-three from the neighbourhood too. Take me to the police, I will identify them all.” Strangely, Mohammad Salim was arrested by the police despite his house and shop being set on fire and his family stranded on the streets. Two days after this incident, the Maa Durga tent house was inaugurated just next to Salim’s shop with a temple on the pavement right in front. Since Salim’s arrest, the family has been living at various relative’s houses with no means of income. Even though the BJP won the last general and assembly elections comfortably, party representation in civic local bodies across Uttar Pradesh remains a sore point. In the December 2017 civic polls too, it received only 29% of the votes. These civic polls were held just two months after Moharram in several cities including Kanpur in 2017. Hakim was planning to contest the elections from Juhi ward, the constituency in which Param Purwa is located. “Had he contested the elections, he would have definitely won” owing to Hakim’s popularity both among Hindus and Muslims, says Ram Prakash. “If this is not an act of prejudice by the police, what is? Why was no one from the Hindu Samaj Party been arrested? Why was a person who is equally loved and respected by both communities targeted?” asks Mohammad Kasim. The Hindu Samaj Party, an offshoot of the Akhil Bhartiya Hindu Mahasabha, notorious for fanning communal sentiments, was part of the Durga idol procession on the fateful day. “By setting Mansoor Tent house on fire, they sent out a loud message – to root out Muslims and their means of livelihood. By setting up Maa Durga Tent house next to it two days later, the message was that economic survival is possible only through communalism,” says Rajiv Yadav, an activist from Rihai Manch, an advocacy group. The fact that no one from the Hindu Samaj Party was arrested for this incident demonstrates the prejudiced nature of the police proceedings. “The idea is that Hindus have a free hand and will get away with anything and Muslims will be put behind bars,” says Rajiv. Just Rs 7 per day from readers like you will keep The Wire going. Click here for more details. Tazia politics is not new in Kanpur. Every year, there are tensions and protests across the city. The difference between now and then is that this time it has been used not just to foster divisions between Hindu and Muslim but also to divide locals on Dalit vs Muslim lines to win an election. Not surprisingly, BJP candidate Rakesh Kumar Paswan from the Pasi caste of the Dalit community won from the Juhi ward two months later in December, 2017 owing to the Dalit Muslim divide created by the October 1 incident. Before taking his oath as chief minister, Yogi Adityanath was a mathadhish – head of the Gorakhnath Math in Gorakhpur. “Have you heard of Zarina Begum? She was the last royal court singer of Awadh,” says Basheer Ahmed, a local resident in his 70s. “She was Begum Akhtar’s disciple and known for the baithak style thumris. She died just two months back in Lucknow in extreme penury. 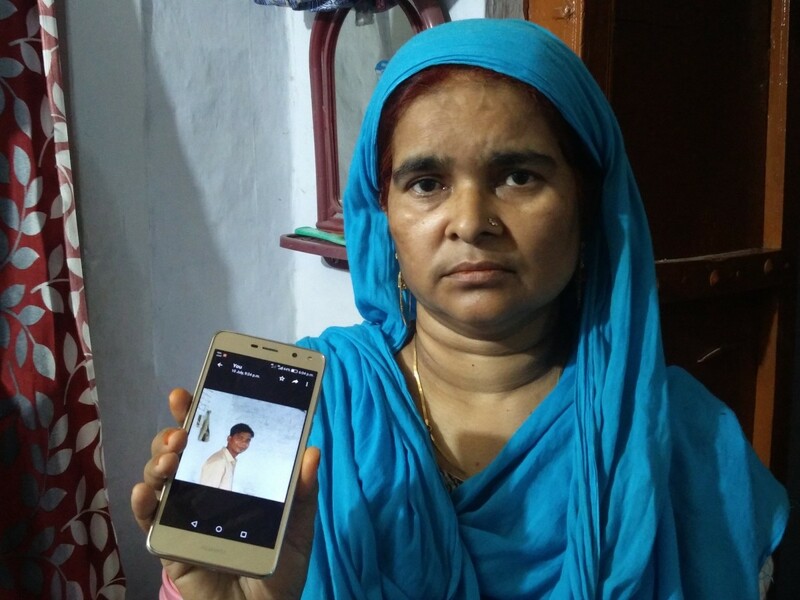 She was the pride of Nanpara, Bahraich,” he declares as he starts playing a clip on his smart phone. An old woman with a harmonium sings, “Nazar laagi raja tore bangle pe… (I am looking towards your palace, o king…),” she sings longingly. “An eye has been cast on Nanpara too,” he says. “But it is an evil one”. Bahraich is among the 250 most backward districts of India with low socio-economic and basic amenities indicators and Nanpara is a small town in the district. It is located just 16 km from the Indo-Nepal border, surrounded by dense forests. Due to its proximity to the border, it has strategic economic importance in the area. In August 2015, a year after the Modi-led BJP government came into power at the Centre, the religion-wise 2011 census data was released. The data was used for propaganda by Hindutva groups to spread the myth that the Hindu population is on a decline and that Muslims were adding to their population as a form of Islamist jihad. Groups like the RSS, VHP and Bajrang Dal started campaigns like ‘Ghar Wapsi’, a program to convert non-Hindus and bring them back to the Hindu fold. Yogi Adityanath had also claimed that ‘ghar wapsi’ will continue till conversion to all religions is banned. There were reports that claimed Nanpara has seen an astronomical rise in the number of Muslims, comprising of 70% of the total town population. Since then, Sangh activists refer to Nanpara as the ‘jihad by population project’, as Bahraich zone Bajrang Dal president Manish Gupta, told this reporter. The booklet praised Suheldev and called on readers to protest against the Urs, or death anniversary celebration, of Masud, held every May at his dargah in Bahraich. These efforts were aimed at creating divisions between Dalits and Muslims. In the 2017 UP assembly elections, the BJP won six out of the seven assembly seats from here. Savitri Bai Phule, a 33-year-old Dalit BJP candidate who identifies herself as a ‘sadhvi’ (monk) is the elected MP. “What do you think? When so many concerted efforts are made by the Sangh, there will be no impact on the people in Nanpara who are already struggling with unemployment and hunger?” asks Basheer. On the morning of December 2, 2017, close to 300 people took out a Barawafat procession in Gurgutta village of Nanpara. Barwafat is celebrated by Muslims as the birth anniversary of Prophet Mohammed. Culturally, Uttar Pradesh has had a history of Muslims and Hindus both participating in these processions. Since the Yogi government came into power, the festival has been removed from the list of government holidays in the state. “It was 10-11 in the morning and it is true that the procession did deviate from the designated route. As soon as it reached the village intersection, there was stone pelting by members of the Hindu Samaj Party and Bajrang Dal from the other side. There were a couple of rounds fired in the air that led to commotion.” Bystanders say that there was religious sloganeering from both sides. A couple of roadside kiosks were damaged. The police arrived along with the Seema Suraksha Bal (SSB) and the situation was brought under control. Between that day and the next, altogether 38 people were held from all over the village. “In the name of controlling the tensions, the SSB took away our poultry and goats. Some even asked us to cook them for the SSB to eat,” says Kanhaiya, a local resident. Finally, nine people were arrested and charged under the Prevention of Atrocities against SC/ST Act. Eventually, the nine were granted bail but soon after, five of them were slapped with the National Security Act. All of them were Muslims. Munna, a brick kiln worker, Aslam, a bangle seller, Masood Raza, a madrassa teacher, Noor Hasan, a rickshaw puller and Arshad, a student have been in jail for the past nine months under the NSA. There were six potatoes boiling in turmeric and salt water on a mud stove outside the small room with a broken, thatched grass roof on the day I visited Aquila Bano and her seven daughters. This was to be their dinner. Her husband, Noor Hasan, in his early 40s, worked as a rickshaw puller in Delhi. He earned Rs 200-300 per day and came home every three months. He was one of those who was picked up by the police on December 2. “He was on his way back from a doctor’s clinic. He had taken our sick child for treatment. But he had to return because the clinic was shut due to the Barawafat tension,” says Aquila. 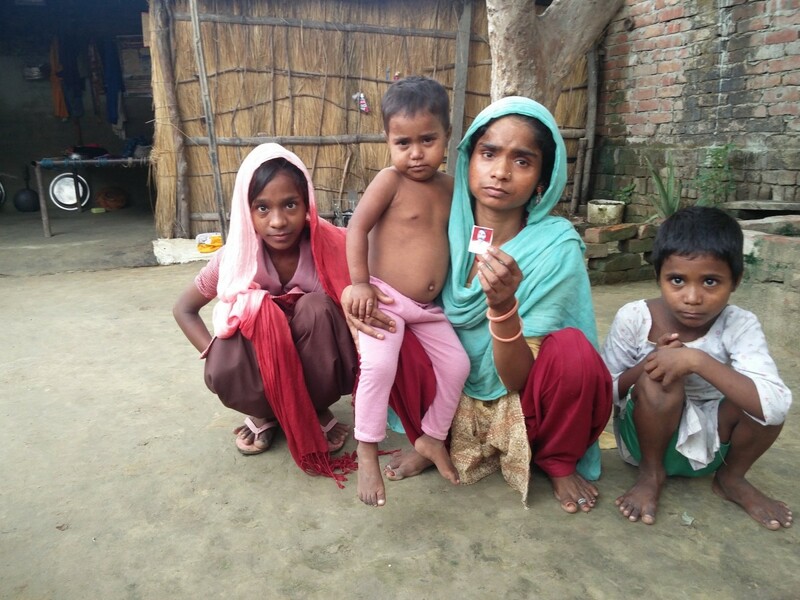 Since his arrest, with no other financial support, Aquila, in her mid-30s and illiterate, has been working as a farm labourer, earning Rs 120 per day. Till date, different lawyers have relieved her of Rs 35,000 on the pretext of helping her to get Noor Hasan released. “This is money I have taken on loan from several places. I don’t know how I will repay it,” she says. 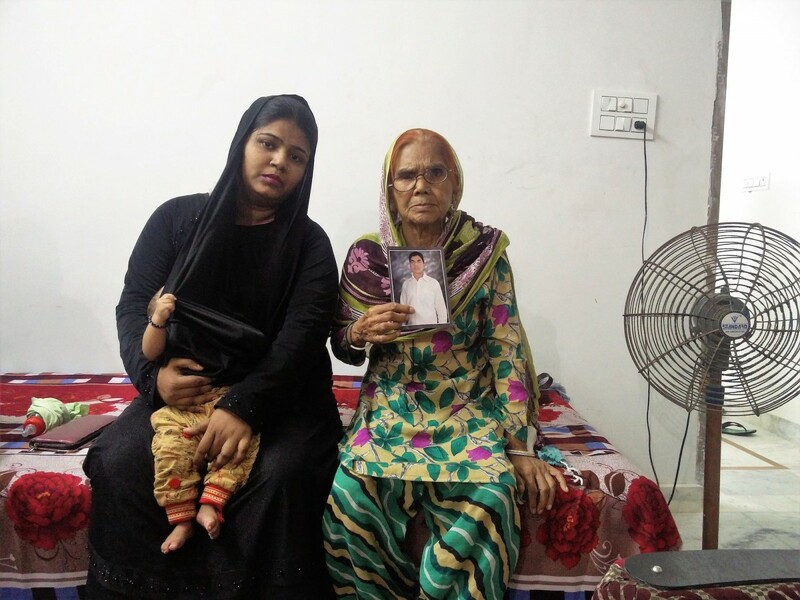 With no money to travel, the family has not met Noor Hasan – who is lodged in Bahraich jail – for months. It had only been an hour since Aslam had opened his bangle shop on the day of the procession when tensions escalated. Looking at how the adjacent kiosks were being destroyed by a frenzied mob, he stayed at the shop to protect it. “He had just bought a new stock of bangles,” says Sammo, his 30-year-old wife. “The police picked him up from the shop itself,” she says. Aslam, 35, had rented the shop and would make up to Rs 4,000 a month. Sammo works as a farm labourer too to feed her six children. “Seven small size burnt rotis is all he gets in the prison. He has not had a stomach full of food in these nine months,” she says. She too has paid Rs 40,000 to a lawyer for Aslam’s release with no real updates on the review of the NSA charges against him. “All the rich people got away. And the poor were detained under NSA. The police has just been collecting bribes. Testing and stretching till the point people keep paying. 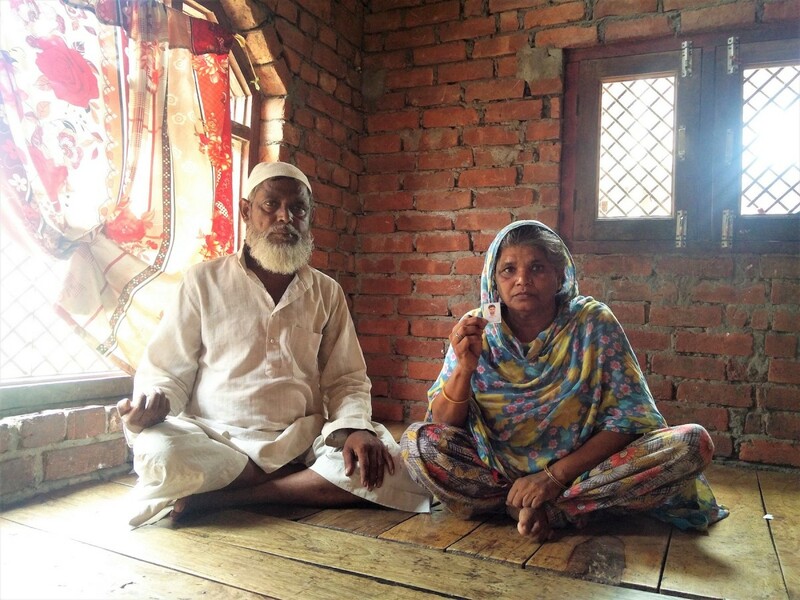 Then, they release those who pay the most,” says Ram Niwas, a local tea stall owner. 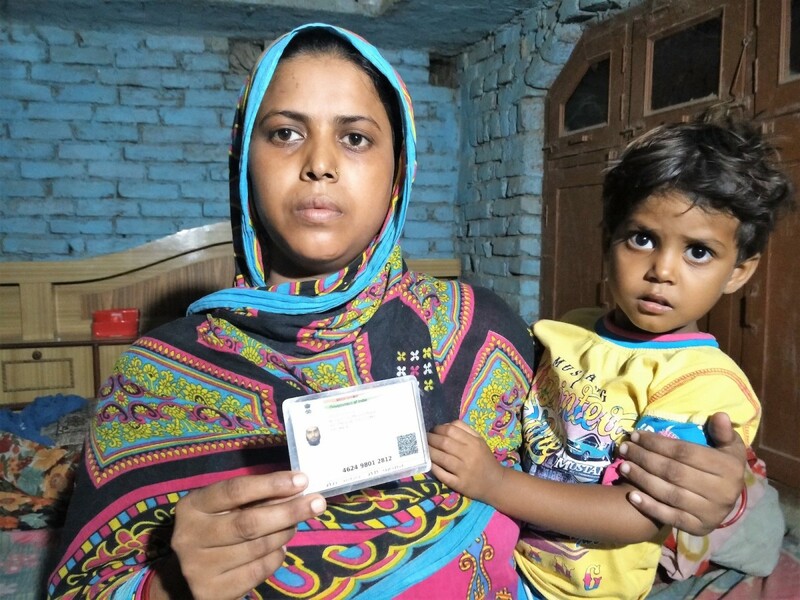 Similarly, Maqsood Raza, 32, also earned Rs 4,000 as a madrassa teacher and was picked up by the police. His two-year-old daughter has been ailing for the past few months and the family has no money for treatment. “I have run from office to office. I will have to go to my parents’ house since there is no money to survive,” says Saifuneesa, his wife. Mohammad Munna, also the same age as Maqsood, worked at a brick kiln in Nepal. His job was to take mud bricks to the kiln for cooking and that earned him Rs 5,000 per month. “His sons have stopped their education and started working as daily wagers to feed the family,” says Abdul Khalid, his younger brother. Eighteen-year-old Mohd Arshad was a student at a madrassa in Kozhikode in Kerala and had come to visit his parents after six months just a day before the incident. “He was part of the procession and came home as soon as the procession got violent. “The fact that he was getting educated was seen as a threat by those who are trying to polarise people,” says Shama, his mother. She says that Arshad has become depressive in prison. “He says, if I stay here more, I will go mad or I will kill myself,” she says. There is a saying in Bahraich that the root of curry masala is onion. “Sangh is the onion that needs uprooting here to get rid of the communal masala and restore the peace and sanity of our village,” says Basheer Ahmed. Every Holi, Dewa Sharif, the white shrine of Sufi Saint Haji Waris Ali Shah in Barabanki district turns red, yellow, red, pink, purple and all the colours that could be imagined. Waris Ali Shah was a 19th century saint and the founder of the Warsi sect of Sufism. He believed that all religions are based on love and affection. His followers were Hindus, Muslims, Christians and Sikhs and were allowed to stay in their own religion. To mark this tolerance, he started the tradition of celebrating Holi at the shrine every year, which has continued for over a century. On April 27, 2017, just a month after Yogi Adityanath led BJP government came into power, UP cabinet minister Rajendra Pratap Singh claimed that the previous Samajwadi Party-led government provided electricity to the ‘Muslim’ shrine Dewa Sharif but not to the Hindu Lodheshwar Mahadev temple in the same district. Both places of worships were given a communal identity despite their secular traditions. Lodheshwar Mahadev temple is an hour away from Dewa Sharif on the banks of Ghagra river in Mahadeva village of Ramnagar tehsil, Barabanki. It is believed that the Pandavas from the Mahabharata performed a yagya for Lord Shiva here. A well by the name of Pandav Kup exists and the water is considered holy. The temple is also known for its syncretic culture. For centuries, shops outside the temple premises selling offerings, material required for rituals, crafts, crockery, utensils, toys have been owned and run by both Hindus and Muslims. In fact, the two annual fairs held at this temple, one on the occasion of Shivratri in the month of March-April and the other a cattle fair in the month of October-November, are a major contributor to the village’s economy. Both Hindus and Muslims participate with equal enthusiasm. In the past, the presiding priests of the temple have been instrumental in ensuring communal harmony. The temple management has a curious method of designating the chief priest. Every four years, the contract for the presiding rights over Lodheshwar is handed over by the temple trust to the top bidder. It is widely believed that this is the method adopted by most temple managements in North India. Last year, Mahant Adityanath Tiwari, who in his late 30s and fashions himself after Yogi Adityanath, was handed over the contract for Rs five lakhs. Since then, he has been constructing a temple complex dedicated to several Hindu deities on the lines of the Gorakhnath math presided over by Yogi Adityanath. He has also started a construction material enterprise called ‘Shiva traders’ just next to the under-construction temple complex. Good journalism costs money. We’ve made it easier for you to fund The Wire. Now, you can support us by giving as little as Rs 200 every month. On November 26, 2017, while campaigning for local body elections, chief minister Adityanath also promoted sectarian division by using electricity distribution to Dewa Sharif as a poll issue. Dewa, he said, ‘got electricity 24×7, Mahadeva got none. We will change this.’ Mahant Adityanath Tiwari was also a contestant in the same elections for the post of the village pradhan. As part of his election campaign, he started a drive to get rid of the loudspeakers from a mosque which has stood next to the temple for 200 years. Inspite of stirring divisive sentiments, the duo did not reap benefits and ‘Chota Yogi’ lost the elections to Jaan Mohammed, a Muslim candidate, by 122 votes. Four months later, on March 14, 2018, at noon, an idol procession led by Shiv Bhagwan Shukla, a member of Hindu Yuva Vahini – the youth militia founded by Adityanath – entered Mahadeva village from the neighbouring Surajpur village with at least a hundred participants on tractors and bikes. They were taking the idol of Laddoo Gopal to the Lodheshwar temple for blessings. According to eyewitnesses, young intoxicated men indulged in loud sloganeering and created a ruckus. On a jammed road, some men on a tractor used sexually explicit language and threw gulaal – the coloured powder used as part of Holi celebrarions – on a 13-year-old school girl riding pillion with her brother, Shah Fahad. When Shah Fahad objected to the sexual harassment, more people came in support. The heated conversation soon turned violent. Meanwhile, a false rumour was spread that the Laddoo Gopal idol was tossed around by Muslims and thrown away. This escalated tensions in the neighbouring areas. Within minutes, the incident was given a communal colour and the local police arrived. 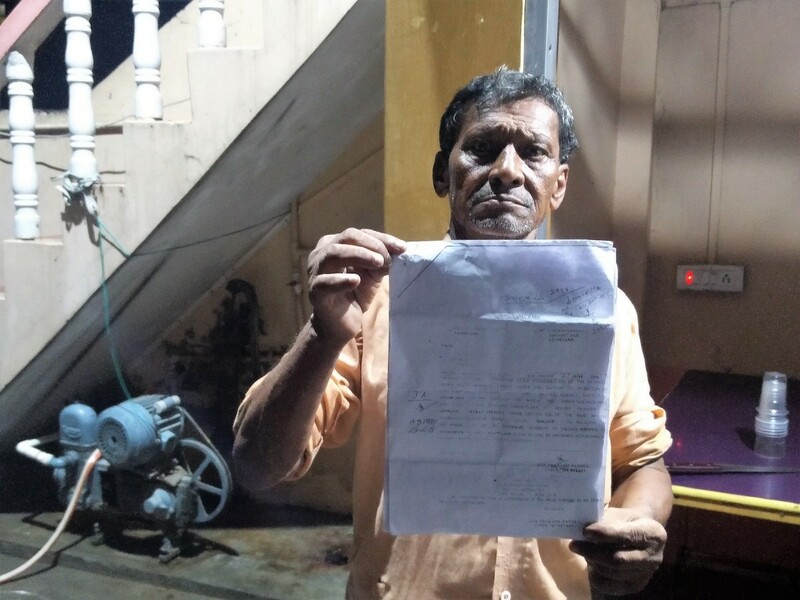 The same evening, police from Ramnagar police station registered an FIR on the basis of a complaint by Shiv Bhagwan Shukla claiming that a Muslim mob with roughly 40 people attacked the idol procession and started robbing ‘Hindu’ girls and women of their jewellery and injured 12 people. The police did not mention the sexual harassment of Shah Fahad’s sister that triggered the incident. An FIR was filed against 12 Muslims under serious charges and against 40-45 unknown people. All the witnesses in the police’s complaint are members of the local Hindu Yuva Vahini unit. The next morning, 12 people were arrested and sent off to Barabanki jail. No FIR was filed and no arrests were made against any of the outsiders who was part of the idol procession. Five days later, all 12 were granted bail. As soon as the 12 reached court, four of them, Rizwan, Zubair, Ateek and Mumtaz were told that they would be detained under the National Security Act. Rizwan, 25 and Mumtaz, 35, worked as ‘bisati walas.’ This is a common term used for street hawkers who sell imitation jewellery, toys, clothes and housekeeping items in villages. Both ran their own shops outside the Lodheshwar temple. At the time of the arrest, Rizwan’s father, who ran a cycle repair shop, suffered a paralytic stroke. His other brother, Taj, who was incapacitated because of polio in his childhood is now running the shop. “There is no means of livelihood. The entire family was dependent on him,” says Shakeela, his mother. The Ramnagar police station’s report to to the police superintendent describes Rizwan as ‘Yeh nihayat dabang, hinsak evam uttejak pravrati ka vyakti hai’ (He is extremely dominant, violent and aggressive) as an explanation for why he should be detained under the NSA. 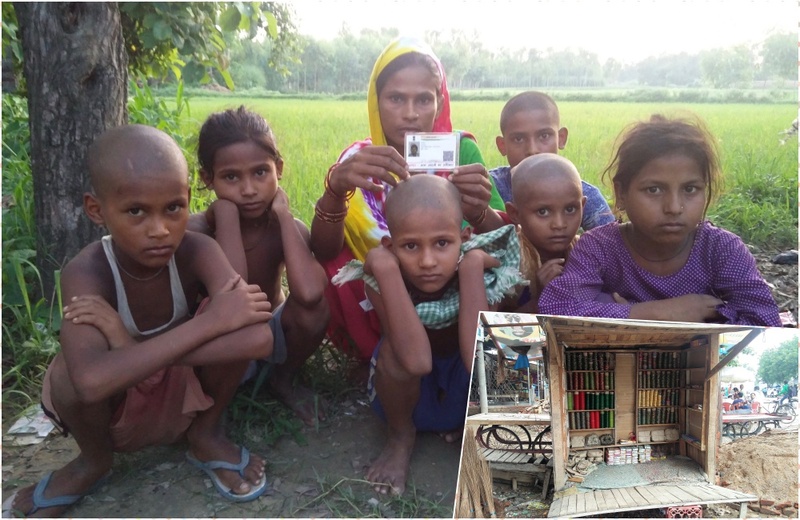 Mumtaz’s family has no money to repair the thatched roof of their home. Aleema, his wife says, “I have been giving wheat flour in boiled water to my one-year old daughter as a substitute for milk. There is no money to eat or buy milk. We can’t even afford to meet him in jail.” Her other five daughters, all between the age group of five to 12, work in neighbouring houses for food. Ateek, is the uncle of the girl who was harassed that day. His father, Basheer, says, “Even the police has denied Chota Yogi’s theory that the idol was touched or tossed around by Muslims. The problem is that this mahant is not from our area. He came from Hardoi and settled here a few months back and brought communal poison coupled with his own political ambition. Since then, he has been disrespecting our secular unity, our Ganga Jamuni culture. And that’s what the Hindu Yuva Vahini units are doing in east UP.” ‘Ganga Jamuni’ is a term used for the culture in the plains of North India which is a fusion of Hindu and Muslim elements. “I want to ask these people, have they forgotten how a Muslim tailor has been serving Ramlalla in Ayodhya for years? Have we not served the Mahadeva by taking care of the thousands of kanwars that come to Pandav kup for centuries?” adds Basheer. Chota Yogi has now started a campaign to oust all Muslim shop owners from outside the temple complex. “They are giving Rizwan and Mumtaz’s example of how Muslims are a threat to national security. 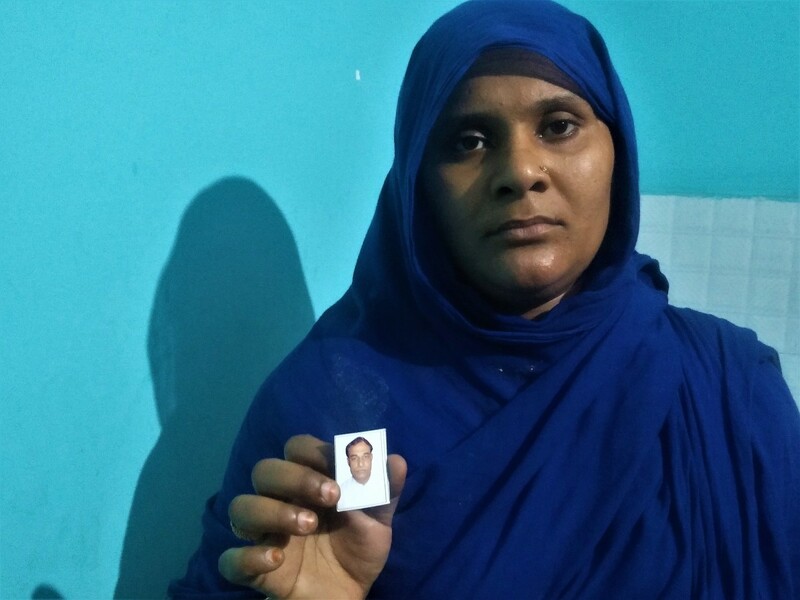 This is also a way to economically weaken working class Muslims in the area,” says Shakeela, Rizwan’s mother. There are also growing voices among the Hindu Yuva Vahini and Hindu Samaj Party units backed by Chota Yogi to get rid of the 200-year-old Jama Masjid made by Raja Jehagirabad that stands next to the temple. “The argument is that the temple has existed since the time of Mahabharat and the mosque is just 200 years old made with an intention to overshadow the temple,” adds Shakeela. ‘Jahan aadmi, wahan Azmi’ (Wherever there is a human being, there is an Azmi). This is a common saying in north India throwing light on the large-scale migration from Azamgarh that started almost a hundred years back and is still prevalent. Sarai Mir, a small town in Azamgarh district on the Azamgarh-Lucknow highway, is known for three things – Abu Salem, a convicted gangster, Abu Azmi, a Samajwadi Party politician and laung lata, a sweet dipped in sugar syrup. In popular culture, it is called Chhota Dubai since a large number of households have at least one member in the Gulf for work. It is said that the people of Sarai Mir have been migrating for work since World War II. Many went to Myanmar in the 1930s as traders and labourers and came back with better financial status. The average quality of life here is better compared to other parts of Azamgarh but it still does not have quality higher education colleges, industrial units or other employment opportunities to stop the migration. According to the 2011 census data, Muslims constitute 52% of Sarai Mir’s population. The people of the town are wary of both the media and politicians. “It has been 10 years since the Batla House police encounter in Delhi on September 19, 2008 but the media and the politicians still keep labelling this place as a terror factory,” says Shah Alam, a local resident. The two students, Atif Ameen and Mohammed Sajid were shot dead in the encounter and Zeeshan, the one arrested by the police in the Batla House incident, are all from this area. The Batla House encounter was debated, heavily contested by human rights activists and lawyers. The authenticity of the incident is mired with complicated questions till date. In fact, in 2016, the police claimed that Mohammed Sajid did not die in the encounter but fled and later joined ISIS. This is also heavily debated since the police could not provide any proof. In the last one-year, the UP police and Anti-Terrorism Squad (ATS) has made several arrests of Muslim youths from Azamgarh, Kanpur and other parts of UP as part of their official ‘deradicalisation project. 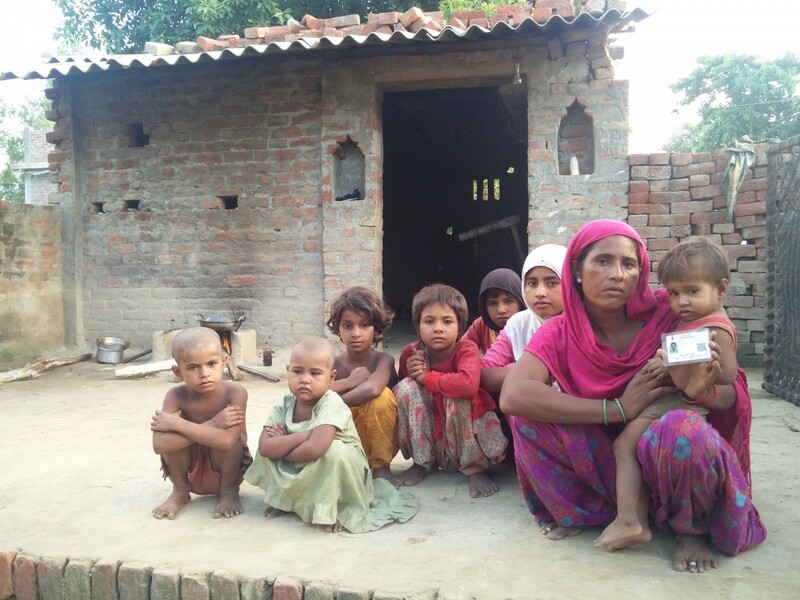 Since then, Azamgarh and Sarai Mir have dealt with the stigma associated with them. 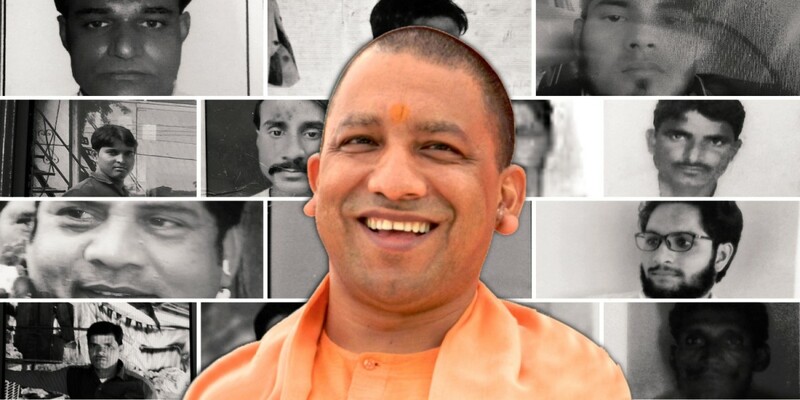 Within a month of the Yogi Adityanath-led BJP government coming to power in Uttar Pradesh in February, 2017, five people were arrested from various parts of the state for making derogatory remarks on social media about the chief minister. A year after that, on April 24, 2017, Amit Sahu, a 20-year-old man from Sarai Mir, allegedly wrote a derogatory Facebook post about Prophet Mohammed and Islam. Amit is a member of the Akhil Bhartiya Hindu Mahasabha. He was also part of the Bajrang Dal earlier. The Akhil Bharatiya Hindu Mahasabha has been especially active in Uttar Pradesh since 2014. It also operates with different names in several areas, including Hindu Samaj Party. 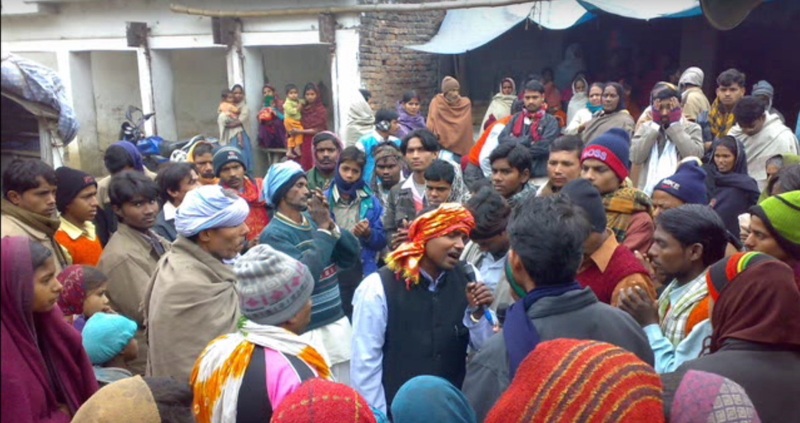 Its president, Kamlesh Tiwari had made objectionable comments about Prophet Mohammed on December 2, 2015. He was arrested and charged under the National Security Act after protests from across the country in February, 2016. He was set free by the Allahabad High Court six months later. Since then, he has been arrested several times and released – for inflammatory remarks and for inciting kar seva at the disputed Ram mandir in Ayodhya. Dissatisfied with the police proceedings, the next day, on April 28, close to 300 protestors gathered outside the police station to demand imposition of the National Security Act on Sahu. The members of Hindu Samaj Party also arrived on the spot and started sloganeering against the protestors. Circle officer Ravi Shankar Prasad, SDM Vagish Kumar Shukla and the police asked the protestors to back off. As a result, there was stone pelting. The police charged with batons and fired tear gas to disperse the crowd. A police vehicle was also destroyed in the violence. The police accused 34 people of the violence and arrested 18. None of them were from the Hindu Samaj Party. On May 8, when those arrested were granted bail by the sessions court, three of them were slapped with National Security Act. They were Asif, Raquib and Sharib. Support journalism that is unafraid to ask the right questions. Just Rs 7 per day from readers like you will keep The Wire going. All young boys and men near Raquib’s house have funky hairstyles. Fohawk, pompadour, floppy quaff with streaks of brown, burgundy and what not. Of course, they don’t know the names of their hairstyle but they know how they want their hair now because of Raquib. His father passed away 15 years back. He along with his other five brothers was raised by his mother, Salma Bano, who did odd jobs to make a living. In the last few years, Raquib emerged as a competent barber and hairstylist locally. First, he opened his salon in a small rented shop and within two years saved enough money to buy a wooden kiosk to shift his salon there. “He was self-taught. While watching films, all he would notice was the hairstyles of various actors and then practice it on neighbours, cousins, nephews – whoever he could get hold off,” says Danish, his nephew. On the day of the incident, he was still at the shop. “When violence broke out, he shut the kiosk and came home for lunch thinking that in a few hours things would calm down,” says Salma Bano. He was picked up from his home by the police. She has now been running from police station to lawyers and had spent close to two lakh rupees by mortgaging her only patch of land. “We don’t know how to get by any longer. We have even sent his wife back to her parents’ house since there is no way to ensure two square meals here,” she says. Iftekhar Ahmed, Asif’s father, in Azamgarh. 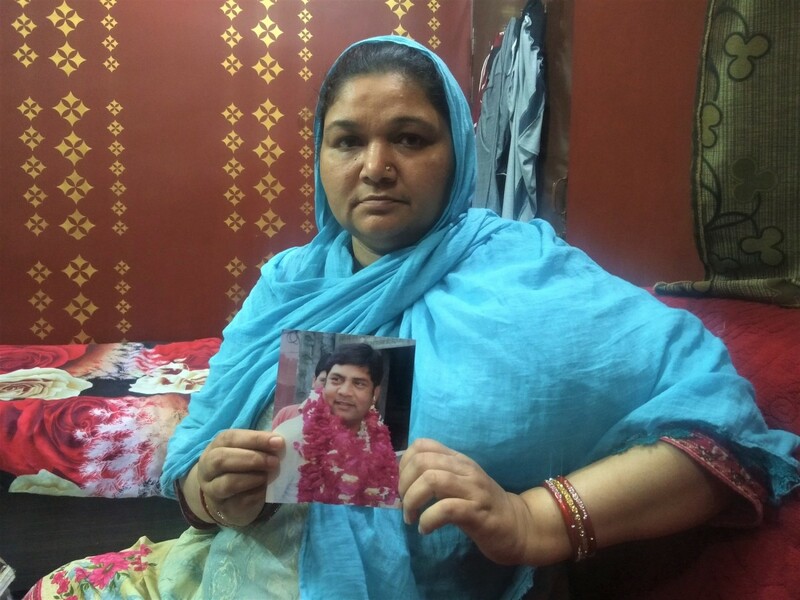 At the time of the arrest, Asif’s son was only three months old. “What I don’t understand is that if he was one of the people throwing stones, why was he still sitting in his shop threading needles and cutting cloth at the time of the arrest? He was an easy target for the police. They did not arrest the Hindu Samaj members who are on the run. Only they can explain if they were biased or under political pressure,” he says. Many believe that the violence – and the free hand to the Hindu Samaj Party – has a connection with the upcoming 2019 elections. “The idea is that if you instigate a riot in Azamgarh, there will be trouble in the entire Poorvanchal belt. And Sarai Mir, with a notorious reputation created by the media, is an easy starting point,” says Tarique Alam, a local activist. When the National Security Act was introduced in 1980 by Indira Gandhi, she assured legislators that the law would only be used against black marketeers and smugglers. However, the first few arrests made were that of trade unionists. People were detained not for their actions but for criticising the government, for participating in public meetings, for giving a call for non-cooperation with the government, for demanding the payment of arrears, as in the case of the Dalli-Rajahara incident, for appealing against a five days’ salary cut by the government in Assam. An SAHRDC internal review of habeas corpus petitions showed that the police often rely on the NSA when they are unwilling or unable to make an appropriate criminal case under the strictures of constitutional and statutory law. It found that there is a regular pattern of using preventive detention, for instance, to address the current activities of repeated offenders and organised crime; to bypass a trial when witnesses were unwilling to testify; and to prevent release on bail. Essentially, the police appear to regularly use preventive detention in more difficult criminal law cases when inefficiency or ineptitude might make its task difficult. In the normal course of criminal law, a person accused of a crime is guaranteed the right to legal counsel, the right to be informed of charges as soon as possible, to appear before a magistrate within 24 hours, to cross-examine any witnesses and question any evidence presented and to be presumed innocent until proven guilty beyond a reasonable doubt in a court of law. The NSA, however, does not apply any of these rights to preventive detention cases. It permits the extra-judicial detention of individuals if the government is subjectively “satisfied” that an individual is a threat to foreign relations, national security, India’s defence, state security, public order, or the maintenance of essential supplies and services. This is convenient for the government and police because it allows them to escape the strictures of the Criminal Procedure Code and the courts of the land. The record shows that advisory boards are reluctant to act against the state and set aside orders of detention, primarily on the ground that it is the executive that is best positioned to assess threats to public order. Evidently, the advisory board has not released anyone in UP till date of its own volition. Since the National Crime Records Bureau does not publish data on NSA detentions, it is impossible to use official data for an actual year-on-year calculation. Activists argue that Yogi government is trying to prove that a large number of Muslims are a threat to National Security. “This is a Manuwadi trend. The RSS and Hindu Nationalist parties do not think of Muslims and Dalits as part of the Hindu rashtra project. Before the 2019 elections, the NSA is being imposed selectively to show them as a threat to national security and consolidate vote banks locally on communal lines,” says Rajiv Yadav. 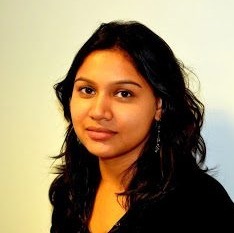 Neha Dixit is an independent journalist based out of New Delhi. She covers politics, gender and social justice in South Asia.